For over 160 years our church family has seen it all! We have experienced the triumphs and tragedies of all families, and we have reflected the times during which we have lived. We have shared good times and sad times, flush years and bust years, periods of great growth and periods of separation and decline. We have endured, however; through the grace of God. To say that we got off to a rocky start is an understatement. For the first 10 years of our official church history, we did not even have a building. We were a German immigrant community struggling to make a living in a strange new world. During the 1840’s and early 1850’s there was a marked increase of southern German immigrants into the Mid-Hudson Valley. Many came fleeing the rise of Prussian militancy and the German Revolution of 1848. Many were headed for the Midwest, where they hoped to find free or cheap farm land. The train, however, only went as far as Poughkeepsie in those days. So, when these early immigrants got to the end of the line, they looked around and realized that the Hudson Valley looked a lot like the area they had just left, and they settled down here to make a new start in a new land. 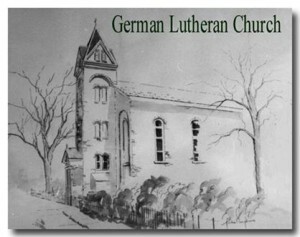 It should be noted that the German community in Poughkeepsie, which generally settled in the area west of Market Street, began the Germania Singing Society six years before founding the First German Evangelical Lutheran Church on February 17, 1856. So much for the priorities of our forefathers! Between 1838 and 1855 there were various attempts to form a German Lutheran Church. They met with little success, because they had no minister, no building, and very little money. One early freelance preacher was accused of having an irregular lifestyle and was run off, taking half of the fledgling congregation and the early church records with him. It seems that we had a schism before we formally had a church! On February 17, 1856, however, under the direction of Pastor Karl Siebke, the First Evangelical German Lutheran Church was officially accepted into the New York Ministerium, marking our birth as a congregation after a long and difficult labor. Because there was still no church building, services were held in various locations, including other churches and a brick building owned by Nicholas Friedrich which he gave to the new congregation. This building was known as the Peace Church or Friedrich’s Church and was our congregation’s first official home. During the first five years of its existence, there were four different pastors, indicating that our problems were not over. Synod officials were contacted several times to straighten out problems plaguing the Peace Church. Most of these early problems had to do with church funds and charges of misuse. Finally, in 1861, with the church $2,800 in debt, the Synod agreed to extend mission support. Also Pastor Siebke returned to serve a second time as pastor. While the situation improved for our church in 1861, these were difficult days for our nation, as the Civil War began and 28 men were recruited from our congregation. Under the leadership of Pastor Siebke, however, the congregation began to grow and soon required additional space. The ups and downs continued, however. 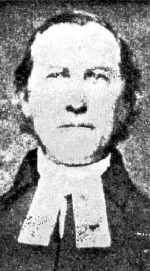 In 1874, Reverend W. Busse started a parochial school, but during the tenure of his successor, Pastor K. Hoech, the country experienced a depression, and as a result the school had to be closed. The next pastor, Dr. G. C. Berkemeir, introduced a new hymnal and a new constitution was adopted, debts were paid off, and the congregation continued to grow. 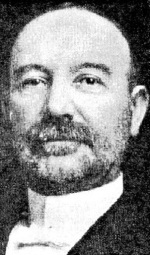 In 1885, Dr. H. Kraehling answered the call to serve our congregation, and he remained pastor for almost two decades. During his ministry pew rents were abolished, and free will offerings were begun (with an $8 minimum per year). The Sunday School was reorganized and many physical improvements were made to the church. The stained glass windows located in the chancel area of our current church were installed in the Grand Street Church at this time. The Ladies Aid and Immanuel Societies raised $7,954.53 for the windows and necessary renovations. In 1901, Dr. Kraeling founded St. John’s English Lutheran Church at 176 Church Street in Poughkeepsie to meet the needs of Danish Lutherans and the evolving German-American community who wanted to worship in English. 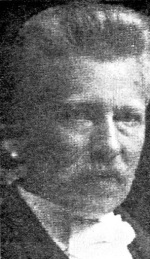 Dr. Kraeling left First Lutheran in 1904 to become Director of Wagner College. 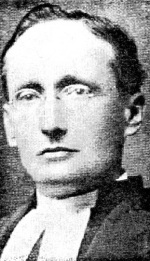 Pastor William Euchler served between 1904 and 1908 and was followed by Pastor Max Mueller, who remained until 1920. In 1915, men and women were no longer separated at communion and the family system was instituted. In 1917, the congregation authorized the sending of a telegram to President Woodrow Wilson requesting that the United States desist from declaring war on Germany. Notwithstanding, 52 members of the congregatron served in the armed forces during World War I, and two were killed. 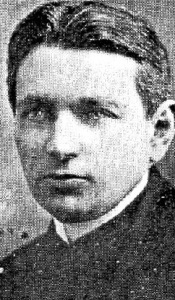 In 1920, Pastor Mueller resigned and returned to live in Germany. Pastor Martin J. Lorenz followed Pastor Mueller, and during the twelve years of Pastor Lorenz’s service to First Lutheran Church, there were a number of changes. The Men’s Club, which had previously kept its minutes in German, switched to English and services in English began to replace services in German. This was a period of transition, the biggest of all being the move from the church building on Grand Street to our present church on the corner of Mill and Catharine Streets. Its purchase, on February 22, 1921, from the Dutch Reformed Church included some furnishings, cost $56,000 and also included was the 3 manual, 32 rank circa 1907 Austin Organ (Opus 219), which was modernized and enlarged under the direction of First Lutheran’s former organist and minister of music, Raymond C. Cory, M.S. and rededicated on September 14, 1986. It is a magnificent instrument which continues to enhance our weekly worship services over 100 years later. It has been featured in conjunction with First Lutheran’s wider music ministry program, and in particular, our “Lunch ‘N Listen” concert series begun under the leadership of Dr. Hermann and Marianne Wolff in 1979 and is still going strong, today. This series of monthly noontime free concerts brings hundreds of people into our church to enjoy the talents of regional professional musicians as well as the beauty of our church sanctuary. The congregation sold the Grand Street Church to St. John the Baptist Roman Catholic Church for $26,500. The dedication of our new church home was held on January 28, 1923. 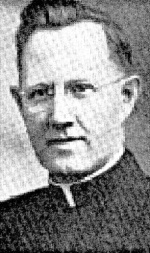 Pastor Emmanuel Storz replaced Pastor Lorenz in 1932. 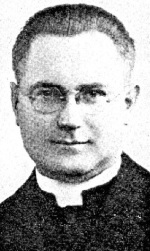 Unfortunately, his service to our church was cut short by a tragic auto accident in 1934. 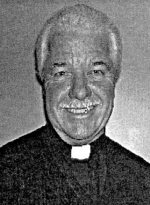 He was returning from a pre- Lenten retreat in Albany when his car hit a truck, that had parked by the side of the road, with no lights. Pastor Storz was killed instantly, leaving a wife and two children under the age of five. While his tenure was short, he left a beautiful legacy, since it was he who introduced our Christmas Eve Candle light Service. 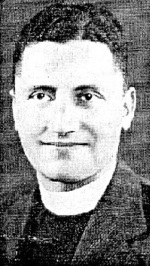 In 1942, Pastor Heinz Kugler was called to the congregation. This was a difficult time for our church family, as many of its sons were serving with the armed forces during World War II. The three years that Reverend Kugler served as pastor of First Lutheran were marked by family separation, shortages of consumer goods and great tension. Despite this the good work continued. The first church newsletter, The Messenger, was introduced, and a capital campaign to raise $5,000 to make necessary repairs was successfully carried out under the leadership of Mr. Ludwig Merte and Mrs. Marie Dexter. On January 21, 1945, the mortgage of the church was finally liquidated, thanks to a $4,500 gift from Mr. H. A. Schatz as well as a $5,000 donation from the bazaar fund. In addition, in 1945 our congregation raised 317 percent of its assigned quota for Lutheran World Action. 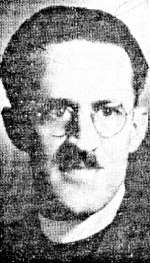 Pastor J. Christian Port, arriving in 1945 at the end of the war, picked up where Pastor Kugler left off. He headed up an effort through Lutheran World Action which resulted in settling over 200 displaced persons in this area from war-torn Europe. Proving that we had not forgotten our immigrant roots, our congregation helped those refugees to find housing, jobs, and the services they needed to rebuild their fives. 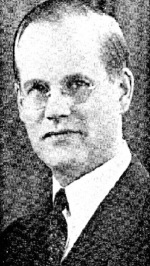 Succeeding Pastor Port, Pastor Adam Schreiber answered the call in 1951. This was the period of our churches greatest expansion in church membership, Sunday School enrollment and donations. Between 1951 and 1956, 250 people joined the church, and in 1956 the congregation voted unanimously to approve the purchase of the property adjoining the church on Catharine Street for $24,500 in order to enlarge the Sunday School. During this period extensive work was done both in the church and in Fellowship Hall. Notably, in 1953 the Schatz family donated our beautiful altar, dedicated to the memory of Hermann A. Schatz. Their donation also made it possible to rebuild the chancel and to purchase the altar plate stands. The Ladies Aid and Immanuel Societies raised funds to re-lead the stained glass windows and to purchase 100 new Common Service books. The men of the church painted the entire downstairs area. In the late 1950’s, our church also became the home of a Latvian congregation. In 1966, Pastor Schreiber retired, and in 1967 Pastor Helmut Dietrich began his service to First Lutheran. His tenure of almost two decades was marked by change and major decisions by the church family. A new parsonage was purchased in the suburbs, and the old parsonage was used first to house a Headstart Program (1968-1976) and then for several years as a Hypertension Treatment Center sponsored by Vassar Brothers Hospital. In the early 1970’s, our congregation considered merging with St. John’s Lutheran Church and discussed the wisdom of remaining in the city instead of moving to the suburbs. In May 1972 the congregation voted not to merge and to remain at our present location, but we also voted to pursue the purchase of land for a possible, eventual move. Land was purchased on De Garmo Road in 1974. This land was subsequently sold in August 1995. In 1972, the blanket sewing group began. To date it has completed more than 4,800 blankets for needy people throughout the world. In the same year, the congregation voted to enlarge our church council to 15 members from the previous 12, and for the first time women (Mrs. Peter Humphreys, Mrs. Billy Noble, and Mrs. George Schaeffer) were elected to the council. In the summer of 1975, a Vietnamese family was adopted by our congregation and was helped to settle in the Poughkeepsie area. In 1979, the Lunch and Listen series began under the leadership of Hermann Wolff. This series of weekly noontime free concerts continued for the next 20 years, bringing hundreds of people into our church to enjoy the musical talents of those who performed as well as the beauty of our church sanctuary. 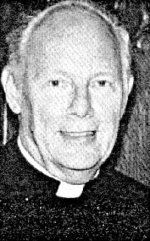 Following the retirement of Pastor Dietrich in 1986, the search began for his successor. That search ended with the appointment of the Rev. 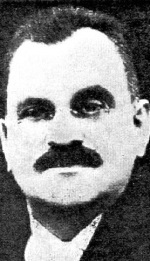 Henry Wuerz, who began his duties in January, 1987. During the ensuing years, our congregation has continued to face many difficulties and challenges, including an aging building, shrinking attendance, and thus an increase in financial pressures. We have sought new and innovative solutions to old and persistent problems. For instance, in 1992 we leased Wetzel Hall, the former Sunday School building, to River Haven, a crisis intervention center and temporary home for runaway youth. In October, 1997, the parsonage in Twin Hills was sold, and in lieu of a house Pastors now receive a housing allowance. To address the reality of shrinking revenues, we have increased our fund-raising efforts through church dinners and an annual auction. We have also sought to supplement our income through the Share an Expense program, in which individuals pay for specific church expenses, thus freeing up the general budget funds to meet other continuing expenses. In addition, in 2004 the congregation voted to sell the old parsonage in an attempt not only to save further expenses but also to add much needed revenue to the general fund. Struggling to meet our financial obligations, we remain true to our mission, and our refugee resettlement efforts have continued. In 1994, we sponsored the Roberts family from Liberia, and in 1998 the Djokic family arrived from Bosnia. We honor our cultural past by holding an annual Octoberfest as well as German language services on Good Friday and during Advent. Additionally, in trying to be responsive to the needs of our community, we attempted to establish a Latino ministry in 2002. While it was not successful, an offshoot project to teach English to new immigrants continues. We have not forgotten our roots as an immigrant congregation! In 2003, 2004 and 2005, in preparation for our 150th Anniversary in 2006, our church family undertook some major projects, including the renovation of Fellowship Hall, landscaping, and the repair of the framing of our stained glass windows. In 2005, our church received a $100,000 matching grant from the New York State Department of Parks and Recreation and Historic Preservation for a Brownstone Restoration Project. In 2006, we celebrated our 150th Anniversary with a series of events, including an April Concert with a commissioned work, by local composer Joseph Bertolozzi, “God is Love” and a gala luncheon attended by Bishop Stephen Bowman. Our 150th Anniversary inspired two major undertakings: the revival of our Lunch N Listen Concert series after a six-year hiatus following the retirement of Dr. Hermann and Marianne Wolff in 1999, and the formation of the Long-Range Planning Committee to help us in charting our future. In addition, 2006 also brought us the great and continuing gift of Eric Hepp as our organist and choir director. Thanks to him we have remained faithful to our musical heritage and traditions, while at the same time we have forged new relationships and connections within the local music community. Eric also presided over a $40,000 renovation of our lovely Austin organ, helped by a $10,000 bequest from the estate of Vivian Petrovits. $2000 from the Jane Nuhn Charitable Trust for organ restoration. $1000 from the Dutchess County Arts Council for the Lunch N Listen Program. $6000 from the New York Landmarks Conservancy for the Brownstone Restoration Project. To increase activities that bring people into our church and let them know who we are and what we are doing. In 2008, working to implement our goals, Rev. Bob Fritch led an all-day workshop, “Hospitality 101: Making Your Church Ready to Grow.” Eric Hepp spearheaded a summer project to renovate our narthex. Shirley Mowell continued Theresa Kizina’s longtime landscaping work, and created a beautiful garden and meditation center near the east wall of the church. In the fall our Brownstone Restoration Project was completed. On December 31, 2008, Rev. Henry Wuerz resigned, and a new chapter opened in our church’s history. 2009 was a year of healing and new beginnings. Our pulpit was filled with a series of supply ministers and our wonderful deacon, Peter Slingerland, worked tirelessly to meet our pastoral needs. Rev. Richard Mueller, the Dean of the Hudson Conference, was our spiritual guide as we navigated our future course. In our goal of reaching out and becoming more involved in our community, we formed a relationship with the Dutchess County Office for the Aging, which established a “Senior Friendship Center” at our church. While they are no long resident at our church, we continue to provide various activities including arts and crafts, knitting, exercise sessions and monthly birthday parties. We also established an annual Recognition Sunday to acknowledge the important contributions made by our church members and friends. 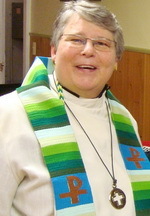 In 2010, Rev. Todd Weir became our Sunday worship leader, bringing continuity and inspiration to the pulpit. We formed a Call Committee, chaired by Linda Connors, and the committee began the process of finding a new pastor for First Lutheran. In a new spirit of confidence, we began a Vacation Bible School, reaching out to the children of the neighborhood. In 2011, the Call Committee continued its efforts to find the right pastor to help us in meeting our mission and needs. Rev. Mueller and Deacon Slingerland were there to address our pastoral concerns. Rev. Todd Weir continued to inspire us with hope and confidence, and in that spirit, we joined with St. Paul’s Episcopal Church to expand our Vacation Bible School outreach to the children of our neighborhood. We also joined with them to sponsor a blood drive, which was organized by Judith Henkel. 2012 was a banner year for our church. In January, we welcomed the New Deliverance Church of Salvation and Praise, which now worships at our church on Sunday afternoons. Eric Hepp, in his continuing efforts to forge new connections within the music community, began a new effort: inviting student choir conductors from Vassar College to assist us. We also forged a new relationship by joining Habitat for Humanity and their Faith-Build initiative. In October 2012, we turned a new page and called Rev. Deborah Hafner DeWinter to join us as pastor. The Call Committee did a splendid job in bringing her to us. She is the combination of spiritual guide, pastoral counselor and inspiring innovator for which we were looking. During 2013 and 2014 our growth continued. Habitat for Humanity now occupies Wetzel Hall, and we continue to work with them in the Faith-Build project. A very successful Capital Campaign helped us not only to secure our infrastructure but also to free up our budget to fund our many and varied missions. We initiated the “Eucharistic Visitors,” who bring communion to those who are ill or are shut-ins. We have also begun an English-language program for Chinese restaurant workers, and we continue to work cooperatively with St Paul’s Church, not only with our combined Vacation Bible School but also with weekly donations to their food pantry and thrift shop. In 2013, we took the lead in partnering with various organizations and local congregations to develop the Worship Respite Program. This innovative program provides some free weekend time during which caregivers can recharge their spiritual batteries. Other recent partnerships include the Repair Café, with the Poughkeepsie Society of Friends. They repair, free of charge, everything from electric appliances to computers. In addition, we host sPOKe or Doc’s PKNY Re-Cycle Project, which provides free and inexpensive, refurbished bikes for children and others in the community. In 2015 we began a partnership in ministry with the Lutheran Care Center, a licensed skilled nursing center. Pastor Deborah leads a mid-week worship service there and assists in providing orientation to new staff and pastoral care to residents. For fellowship and fun, we host a series of annual church dinners, and we also meet regularly for Fellowship Breakfasts and Table Talk Pub Nights. We continue to search for new ways to be of service to our neighborhood, our community, and beyond. Through the Grace of God, we endure, and in His name, we move forward in faith. God’s work — Our Hands!